In 1508, despite strong advice to the contrary, the powerful Pope Julius II commissioned Michelangelo Buonarroti to paint the ceiling of the newly restored Sistine Chapel in Rome. During the four extraordinary years that Michelangelo spent laboring over the ceiling, power politics and personal rivalries swirled around him. He battled ill health, financial and family difficulties, inadequate knowledge of the art of fresco, and the Pope's impatience - a history that is more compelling than most novels. In the tradition of John Richardson's Picasso, a commanding new biography of the Italian master's tumultuous life and mysterious death. 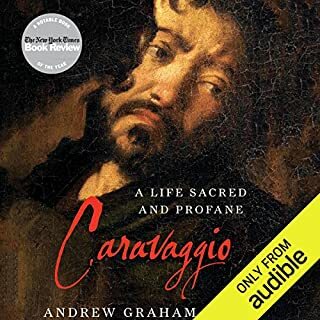 For four hundred years Caravaggio's (1571-1610) staggering artistic achievements have thrilled viewers, yet his volatile personal trajectory - the murder of Ranuccio Tomasini, the doubt surrounding Caravaggio's sexuality, the chain of events that began with his imprisonment on Malta and ended with his premature death - has long confounded historians. While the Civil War raged in America, another very different revolution was beginning to take shape across the Atlantic, in the studios of Paris. The artists who would make Impressionism the most popular art form in history were showing their first paintings amid scorn and derision from the French artistic establishment. Indeed, no artistic movement has ever been, at its inception, quite so controversial. We have all seen, whether live, in photographs or on postcards, some of Claude Monet's legendary water lily paintings. They are in museums all over the world and are among the most beloved works of art of the past century. Yet, ironically, these soothing images were created amid terrible personal turmoil and sadness. Wonderful book. Awful awful narration. 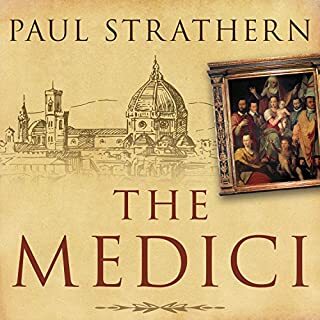 Against the background of an age that saw the rebirth of ancient and classical learning, Paul Strathern explores the intensely dramatic rise and fall of the Medici family in Florence as well as the Italian Renaissance, which they did so much to sponsor and encourage. Interwoven into the narrative are the lives of many of the great Renaissance artists with whom the Medici had dealings, including Leonardo, Michelangelo, and Donatello as well as scientists like Galileo and Pico della Mirandola. 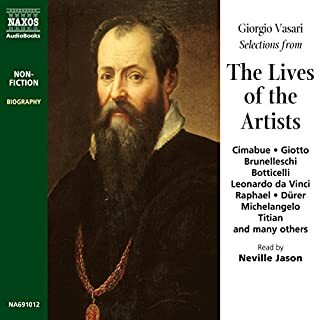 An Italian Mannerist architect and painter, Giorgio Vasari was acquainted with many of the most famous artists of his day. He is best-known today for his biographies of artists including Leonardo da Vinci, Raphael, Michelangelo, Titian and Giotto. This recording is read with clarity and authority by Neville Jason. Excellent if the music was removed. From 1501 to 1505, Leonardo da Vinci and Michelangelo Buonarroti both lived and worked in Florence. Leonardo was a charming, handsome 50-year-old at the peak of his career. Michelangelo was a temperamental sculptor in his mid-20s, desperate to make a name for himself. Michelangelo is a virtual unknown when he returns to Florence and wins the commission to carve what will become one of the most famous sculptures of all time: David. In Montmartre is a colorful history of the birth of modernist art as it arose from one of the most astonishing collections of artistic talent ever assembled. It begins in October 1900, as a teenage Pablo Picasso, eager for fame and fortune, first makes his way up the hillside of Paris' famous windmill-topped district. Part of the acclaimed Eminent Lives series, Machiavelli is a superb portrait of the brilliant and revolutionary political philosopher - history's most famous theorist of "warfare, terror, murder, and bloodshed" - and the age he embodied. 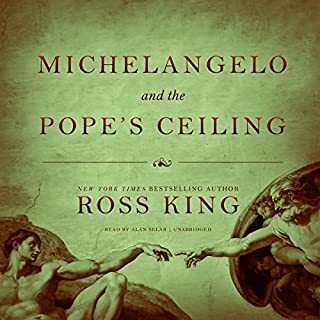 Ross King, the New York Times best-selling author of Brunelleschi's Dome, argues that the author of The Prince was a far more complex and sympathetic character than is often portrayed. Toward the end of his long life, Tiziano Vecelli - known to the world ever since as Titian (circa 1488-1576) - was at work on a number of paintings that he kept in his studio, never quite completing them, as though wanting to endlessly postpone the moment of closure. Produced with his fingers as much as with the brush, Titian’s last paintings are imbued with a unique rawness and immediacy without precedent in the history of Western art. Leonardo da Vinci, Niccolò Machiavelli, and Cesare Borgia - three iconic figures whose intersecting lives provide the basis for this astonishing work of narrative history. They could not have been more different, and they would meet only for a short time in 1502, but the events that transpired when they did would significantly alter each man's perceptions - and the course of Western history. J. M. W. Turner is one of the most important figures in Western art, and his visionary work paved the way for a revolution in landscape painting. Over the course of his lifetime, Turner strove to liberate painting from an antiquated system of patronage. Bringing a new level of expression and color to his canvases, he paved the way for the modern artist. Five hundred years ago, Michelangelo began work on a painting that became one of the most famous pieces of art in the world - the Sistine Chapel ceiling. Every year millions of people come to see Michelangelo's Sistine ceiling, which is the largest fresco painting on earth in the holiest of Christianity's chapels; yet there is not one single Christian image in this vast, magnificent artwork. This is Irving Stone's powerful and passionate biographical novel of Michelangelo. His time: the turbulent Renaissance, the years of poisoning princes, warring popes, the all-powerful Medici family, the fanatic monk Savonarola. His loves: the frail and lovely daughter of Lorenzo de Medici; the ardent mistress of Marco Aldovrandi; and his last love - his greatest love - the beautiful, unhappy Vittoria Colonna. Each night, when the hours of painting and drawing were over, Vincent van Gogh put pen to paper and poured out his heart through letters to his beloved brother Theo, his confidant and companion. No thought was too small, no element of his craft too insignificant, no happening too trivial. It was all scrupulously recorded and shared. In these letters, Van Gogh reveals himself as artist and man. Even more than if he had purposely intended to tell his life story, Van Gogh’s letters lay bare his deepest feelings, as well as his everyday concerns and his views of the world of art. Rivalry is at the heart of some of the most famous and fruitful relationships in history. The Art of Rivalry follows eight celebrated artists, each linked to a counterpart by friendship, admiration, envy, and ambition. All eight are household names today. But to achieve what they did, each needed the influence of a contemporary - one who was equally ambitious but who possessed sharply contrasting strengths and weaknesses. Early in 1495, Leonardo da Vinci began work in Milan on what would become one of history's most influential and beloved works of art - The Last Supper. After a dozen years at the court of Lodovico Sforza, the Duke of Milan, Leonardo was at a low point personally and professionally: at 43, in an era when he had almost reached the average life expectancy, he had failed, despite a number of prestigious commissions, to complete anything that truly fulfilled his astonishing promise. His latest failure was a giant bronze horse to honor Sforza's father: His 75 tons of bronze had been expropriated to be turned into cannons to help repel a French invasion of Italy. The commission to paint The Last Supper in the refectory of a Dominican convent was a small compensation, and his odds of completing it were not promising: Not only had he never worked on a painting of such a large size - 15' high x 30' wide - but he had no experience in the extremely difficult medium of fresco. 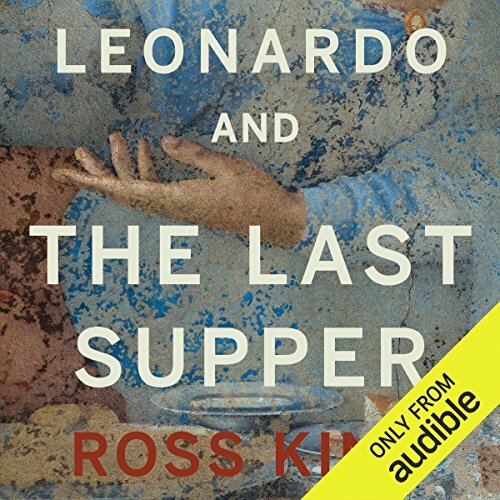 In his compelling new book, Ross King explores how - amid war and the political and religious turmoil around him, and beset by his own insecurities and frustrations - Leonardo created the masterpiece that would forever define him. King unveils dozens of stories that are embedded in the painting. Examining who served as the models for the Apostles, he makes a unique claim: that Leonardo modeled two of them on himself. Reviewing Leonardo's religious beliefs, King paints a much more complex picture than the received wisdom that he was a heretic. The food that Leonardo, a famous vegetarian, placed on the table reveals as much as do the numerous hand gestures of those at Christ's banquet. As King explains, many of the myths that have grown up around The Last Supper are wrong, but its true story is ever more interesting. 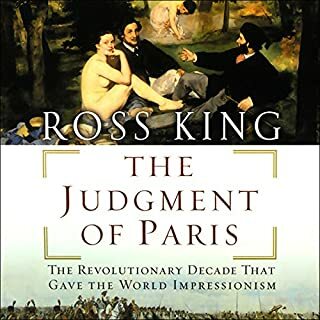 Bringing to life a fascinating period in European history, Ross King presents an original portrait of one of the world's greatest geniuses through the lens of his most famous work. ©2012 Ross King (P)2014 Audible Inc.
Ross King is the best at making non-fiction material read like a novel. While this story is full of solid research and scholarship it is also an enjoyable read. This book was extremely well written and read. A coherent story told from the contemporary perspective. I will listen to this several times as there is so much detail. Kudos. It was a good narrative for art enthusiasts who want to know more about this era of art history. A very enjoyable book! 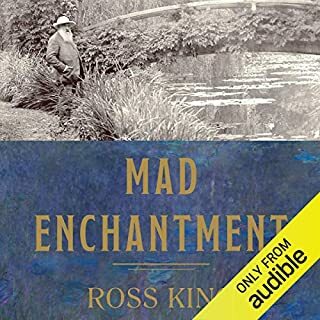 Between the slow pace of the narrator and the droning language from the author, a potentially exciting topic was about as interesting as watching grass grow. Loved it! Ross king does it again. I love that his books tell a rich and detailed story of the context of the subject. This is mostly another bio about Leonardo. I guess there’s only so much you can say about the Last Supper and this book went on longer than it needed to. This complex story suffers from a narrator’s voice that fails to modulate between war sags, biographic tales, and direct quotations from multiple primary sources. Probably a better read than audible version.